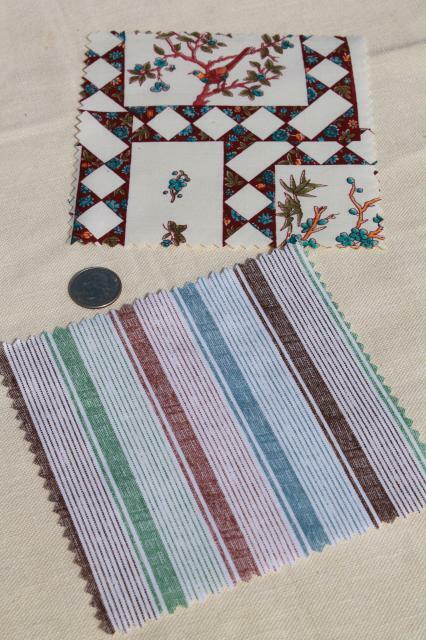 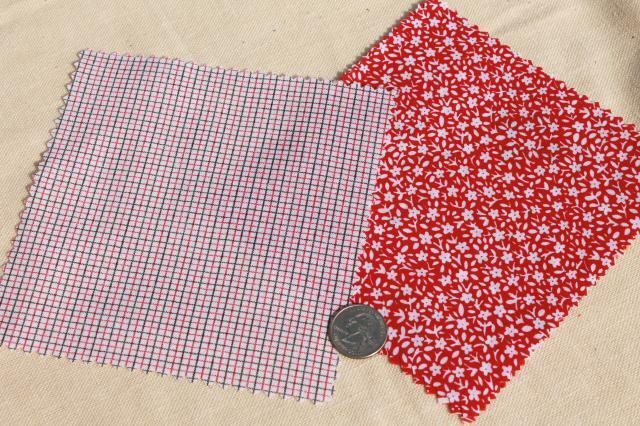 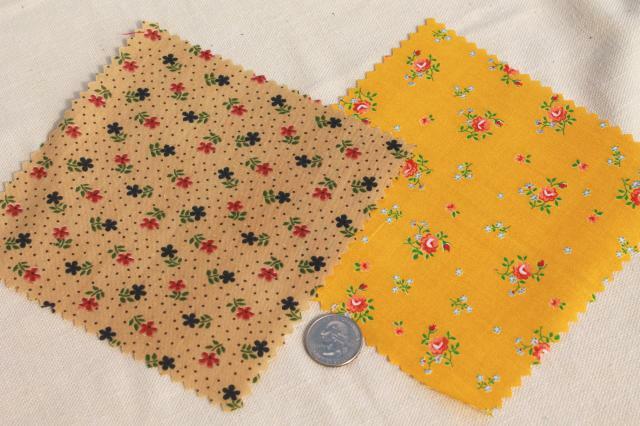 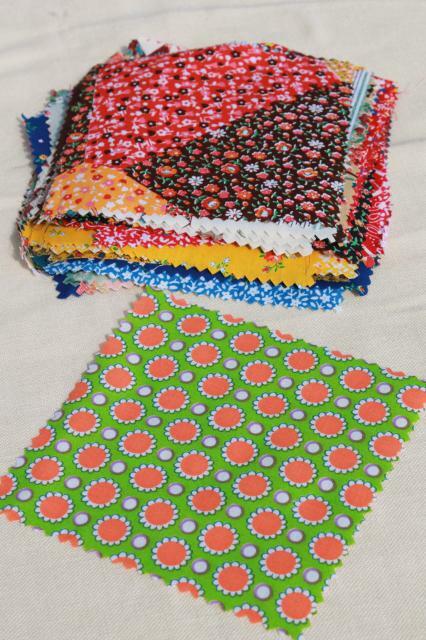 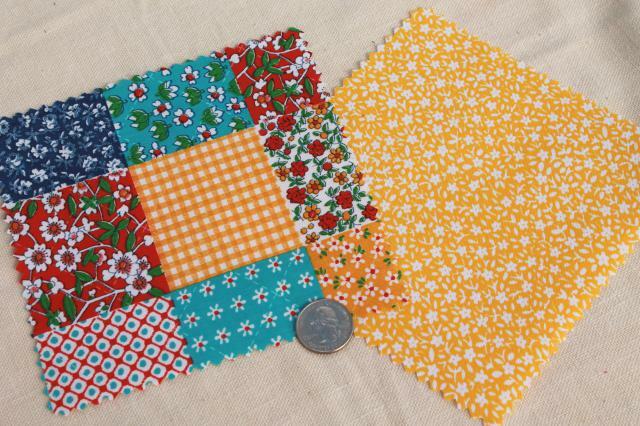 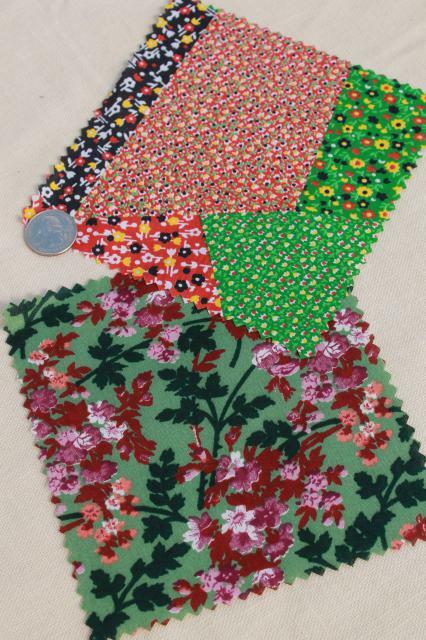 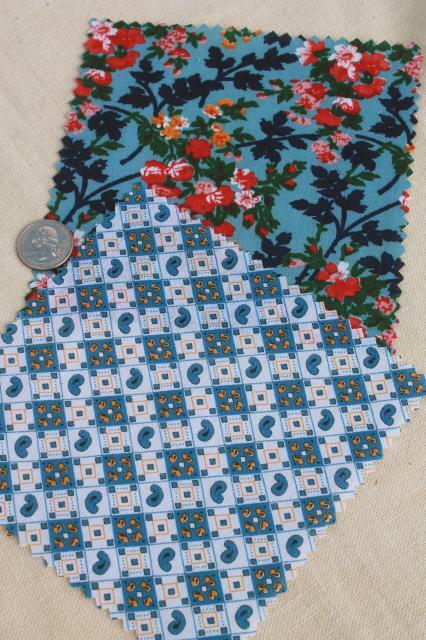 Lot of 80+ 6" x 6" squares, 60s and 70s vintage cotton and cotton blend fabrics with some great retro colors and prints! 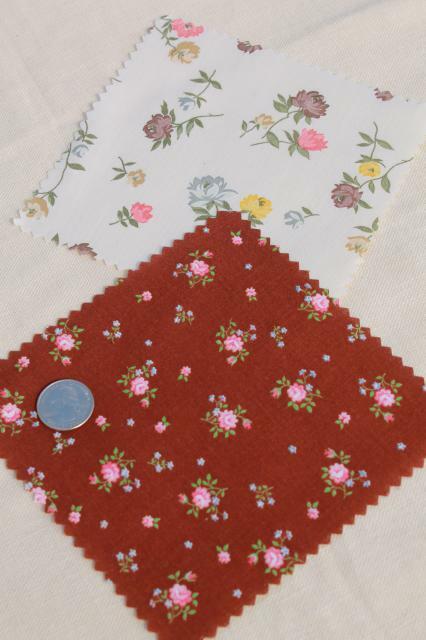 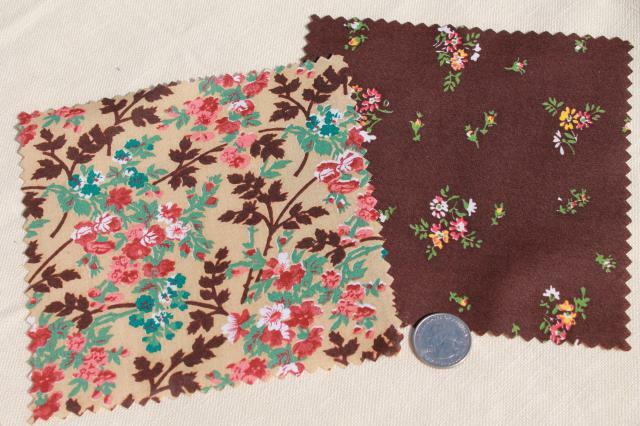 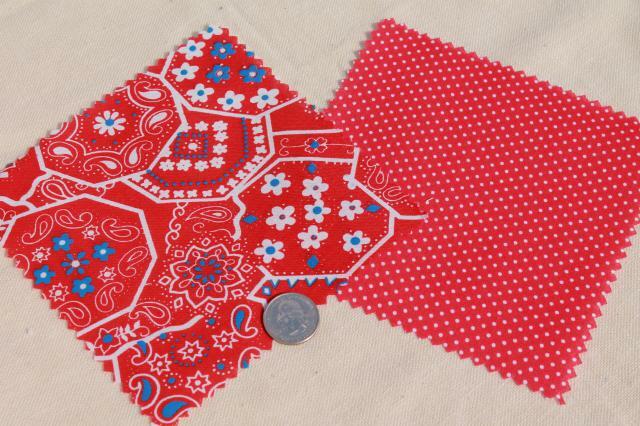 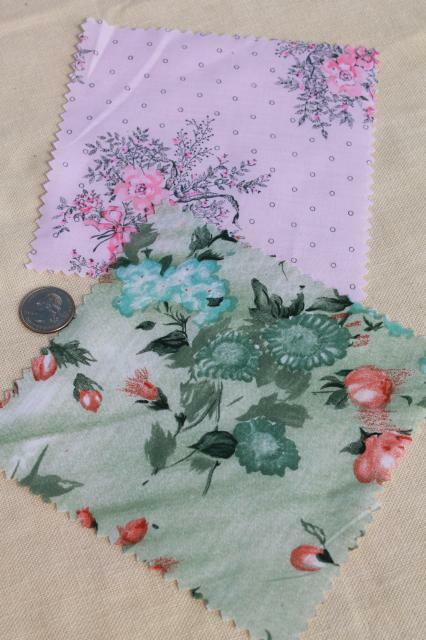 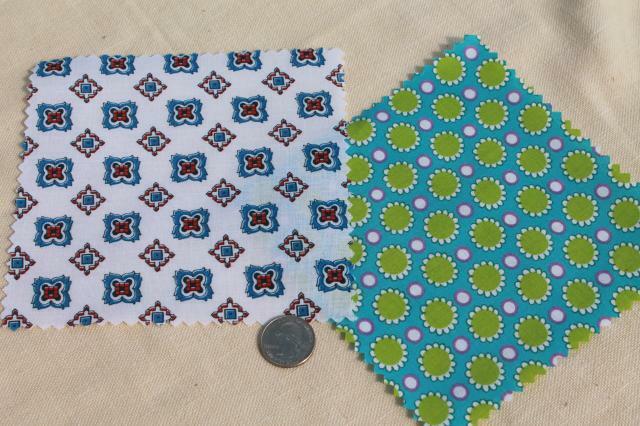 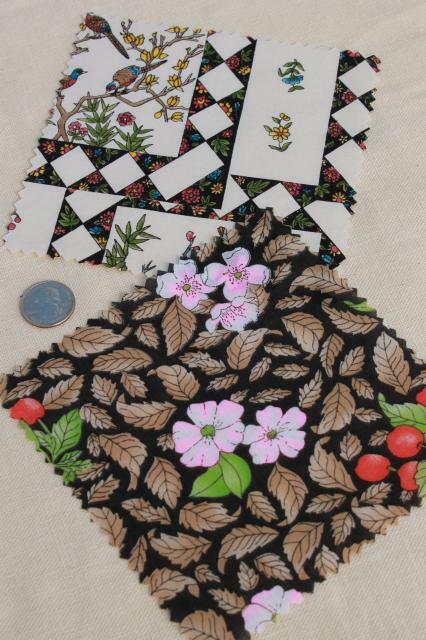 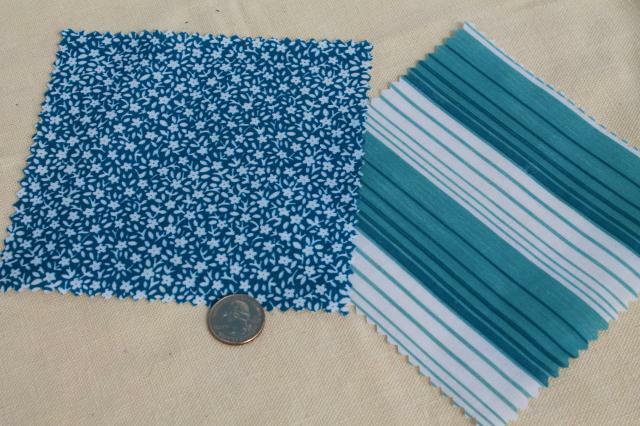 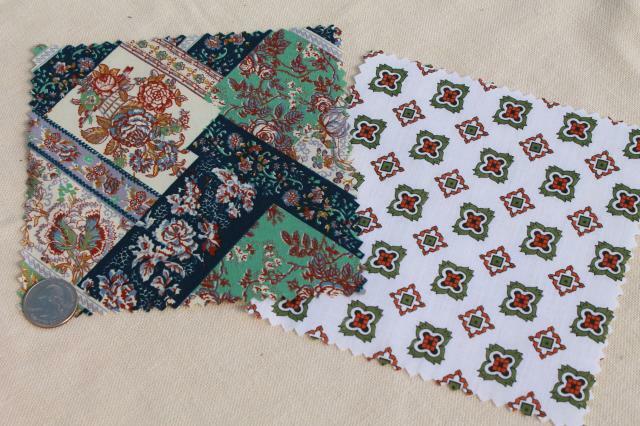 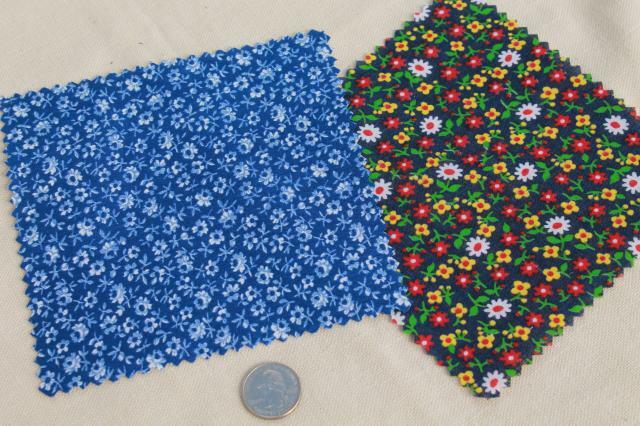 These are nice for quilting or other crafts and sewing. 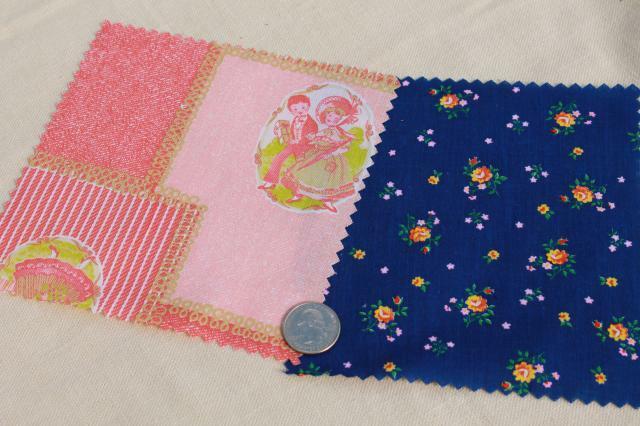 All have neat edges trimmed with pinking shears, and all are in good clean condition from a non-smoking estate.